Whether you are thinking about an inground pool or an above ground pool, our swimming pool experts will guide you to make the best choice at the best price possible. 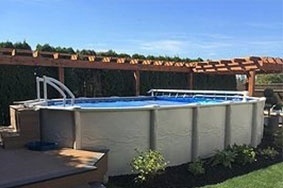 Contact BC Pools and Spas Ltd., Swimming Pool Installation Experts in North Vancouver, BC for best products and services that suit you and your family. 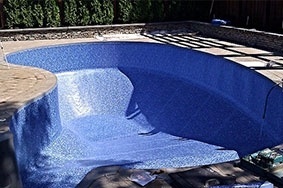 BC Pools and Spas Ltd. offers vinyl liner swimming pool construction with a wide range of designs. We will work with you to determine the best shape, size and overall look, in order to help create your own private resort. There are many different reasons for choosing above ground pools, such as budget, permit complications or simply lot size. These quality swimming pools are a fantastic upgrade to your backyard. When your pool is ready for a make over, we have the expertise to do just that.This can often entail a liner replacement, altering the pool shape, adding stairs or installing new LED lighting. We offer swimming pool construction, repair and renovation services throughout the Lower Mainland including Squamish, West Vancouver, North Vancouver, Vancouver, Burnaby, Coquitlam, Pitt Meadows, Maple Ridge, Surrey, Langley, Abbotsford, Mission and Chilliwack. 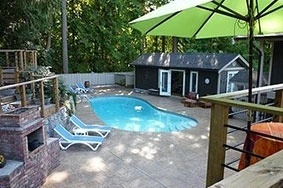 Contact BC Pools and Spas Ltd., for a free swimming pool construction and remodeling services estimate.